Why do my Sauna elements keep breaking? Why are my sauna elements breaking? Saunas are low maintenance. There isn’t much to do in the way of ongoing maintenance. And there also isn’t a lot of moving parts. So there is very little to go wrong. The number one complaint we get about saunas from customer is that their elements keep breaking. This is a problem we mainly find with commercial saunas, where there is high volume of people in and out the sauna. 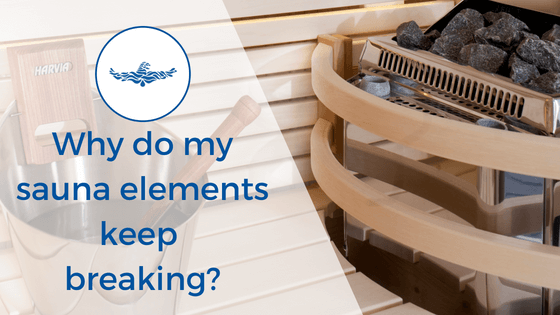 So what is it that causes the sauna elements to break or corrode? Electric sauna stoves use electric elements to heat the stones. This in turn heats the room to between 60-100 degrees Celsius. The heat of the sauna is very dry, with humidity levels around 5-10%. In most saunas you can add water to the stones. Not only does this increase the humidity levels so that the air doesn’t feel so dry. But it can also infuse the air with a fragrance such as eucalyptus if this is added to the water before hand. Pouring water on a sauna stove is one of those things that people love to. It feels like a necessary part of the experience. But the problem, especially in commercial saunas is that people can be a bit over zealous with their water application. Either due to lack of knowledge or lack of care. And, as there is a high volume of people in and out, water can be poured over the stones more frequently. If too much water is applied this can cause the elements to corrode and eventually snap. Saunas are designed to take on a small amount of water. 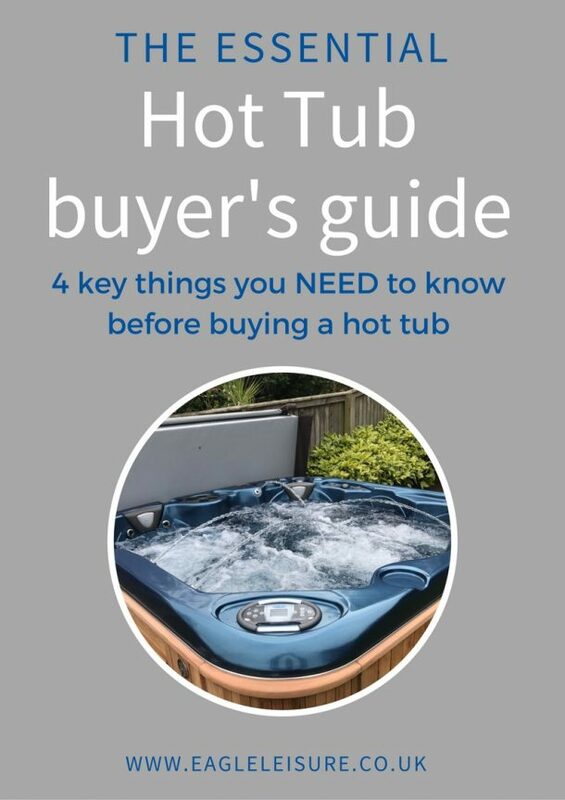 But water damage to sauna elements is the number one issue we see in saunas. Ideally, we’d love to trust that no one will be too liberal with the water. But short of having someone on guard all the time (which is impossible). Commercial saunas will have to find ways of removing of limiting water supply to prevent sauna element damage. There are a few things that you can do to reduce the likelihood that elements will get water damaged. 1. Remove any water buckets and ladles. This way guests are not in control of adding water and are not as likely to overdose. Have a member of trained staff in charge of periodically adding water and essence to maintain humidity. Unfortunately some guests will still use their own water bottle to throw over the stones. In this case you need some way of educating them on the damage this could cause. 2. Put up a sign informing the guests that too much water can damage the sauna and put it out of use. If people are paying for the use of the sauna/club then they will likely not want any downtime. Let them know pouring bottled water is also not allowed. 3. Install a water tap with a button that will automatically ‘spray’ the stones with the right amount of water. This can be installed with a delay timer so that over watering is unlikely. Even if you manage to avoid water damage, your sauna elements will need periodically replaced. And this will happen faster in commercial properties. Your sauna can run on less elements if one or two break, but it will take longer to heat up with the remaining elements. We recommend you always have a few spare elements on hand to replace if they are damaged or break. This will reduce downtime and potential complains in commercial venues. Saunas are extremely low maintenance and a great addition to a home or commercial property. However, if you are too liberal with water application you can damage the elements. And you will need to replace these sooner than otherwise necessary. Keep your sauna elements working by limiting the water application to the stones. And keep a few elements spare in case on emergency. 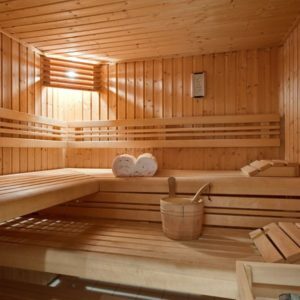 How much does a sauna or steam room cost per month?